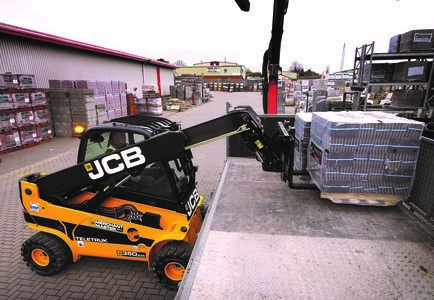 JCB Industrial has designed a range of four Teletruk materials handlers specifically for use in the builders merchants sector. JCB became the 450th member of the Builders Merchants Federation last year and worked closely with the BMF to develop the machines. The machines are the first from any supplier member company to display the BMF logo. The four Teletruks include the two-wheel drive 30DTCR, the 30D4x4, the two-wheel drive 35DTCR and the 35D4x4. The machines benefit from a fully enclosed hydrostatic drive system and the choice of two-and four-wheel drive makes the compact load handlers ideal for both well surfaced yards and rougher site conditions, that would be unsuitable for a conventional fork lift truck. The Merchant Master specification includes as standard a single carriage pin, a flashing beacon, a greasing kit and a reversing alarm. The two two-wheel drive machines also come with a hydraulic flow divider as standard. As well as pallet forks, the Teletruks can be operated with bagging buckets, shovels, brick clamps and a host of specially designed attachments, delivering maximum versatility and return on investment for the merchant. There are also a range of options available for the Merchant Master machines, designed to make life easier, safer and more productive in a merchant’s yard. These include PPS industrial tyres for the two-wheel drive models and foam-filled traction pattern tyres for the 4x4s, a choice of partial or full cabs, a five-spool hydraulic valve block, 1,200mm 3B forks, a vinyl seat covering, cab heater, vinyl door, panoramic mirrors, a quick disconnect sideshift or complete Changezee system, two quick disconnect couplings, additional working lights and a road lighting kit. The JCB Teletruk, first launched in 1997, has an industry-first telescopic boom rather than a conventional industrial fork lift mast. This single-sided boom allows the Teletruk to load and unload a road haulage truck from one side, greatly reducing the necessary space in a merchant’s yard and boosting productivity as there is less requirement for repositioning. 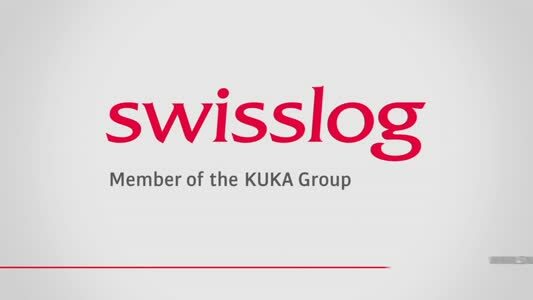 Maximum lift capacity is 3.0 tonnes for the 30D models and 3.5 tonnes for the 35D machines, while maximum lift height for the 30D is 4.0m and the Teletruks have a forward reach of up to 3.32m. The 35D Teletruks can lift to a height of 4.4m. To further boost safe operation, the Teletruk is equipped with an operator presence switch that prevents the machine from starting if the operator is not seated. If the operator leaves the driving seat while the machine is in motion, it will come to a controlled stop and not move until the operator is seated again. JCB unveiled the Merchant Master Teletruk range at a special launch event for BMF members at the firm’s World Headquarters in Rocester, Staffordshire. The company has also hosted the Young Merchant group meeting and regularly attends regional meetings and the BMF Members Day. "I am delighted to welcome one of the UK’s most iconic machinery brands to the BMF,” said BMF Managing Director John Newcomb, who had himself worked for JCB early in his career.